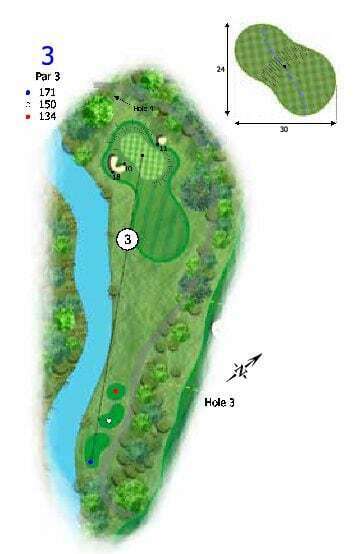 The third is a long par 3 with a lake down the left and two green side bunkers that will challenge most golfers. The green is tiered and although fairly open at the front, the back pin position will require one of the toughest shots in golf. Par is a good score on this hole. Safe Play: Hit to the middle of the green and 2 putt for par.